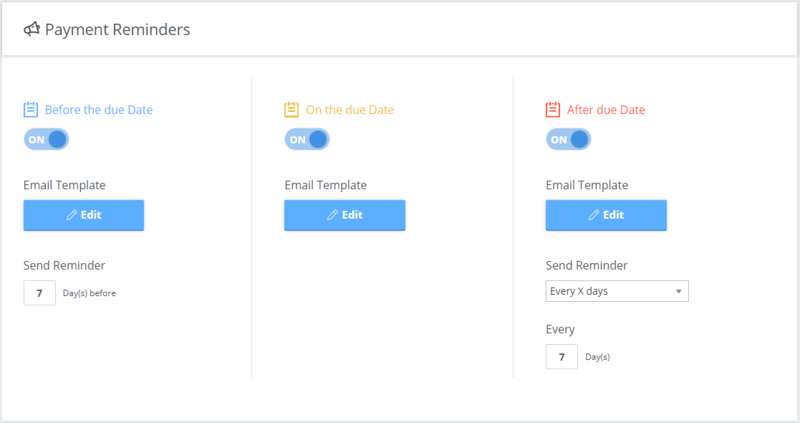 Late Fee Manager is known for the two things we do best, emailing Payment Reminders as well as creating and emailing Late Fees directly to your customers. Not only do we automate those processes (it can take hours to do one by one! ), but many customers appreciate the ability to remove themselves from the personal communications (via phone or email) associated with collecting overdue balances. Before your account runs for the first time, however, we want to make sure you are aware of a few things. If you have any of the three payment reminder options (shown below) set to "On" we will email payment reminders directly to your customers with open invoices. Payment Reminders also include a copy of the original invoice in the form of a PDF attachment. If you don't want us to send payment reminder emails your customers, simply turn each of these options to "Off." If the 'Apply Fees to all Customers' option highlighted in the screenshot below is set to "Charge All" we will generate late fees for all of your overdue customers. If you don't want us to generate late fees for all of your overdue customers, you have a few options. You can choose “Disable Late Fees, and no customers will be charged any fees. If you choose “Charge Selected”, the Select Customers button will appear and you can check the customer you wish to receive fees. Any customer not selected will be exempt from getting late fees. If you choose “Waive Selected”, the Select Customers button will appear and you can check the customer you wish to be exempt from late fees, and all other customers will be charged. 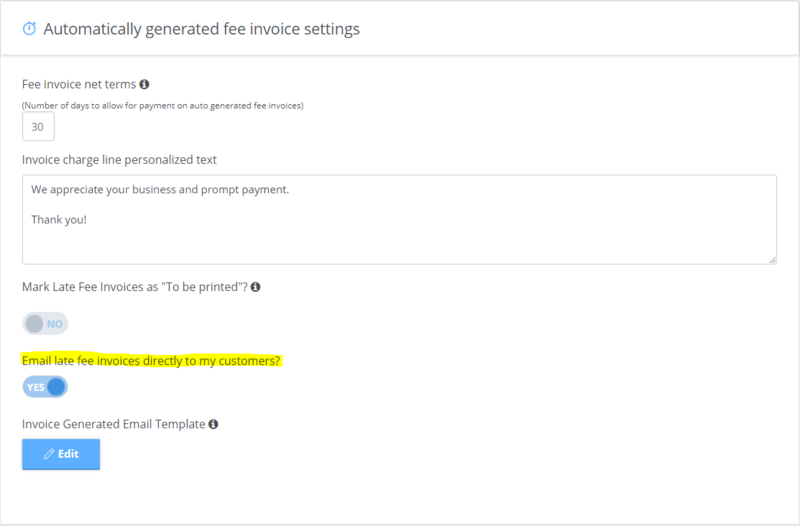 If the 'Email late fee invoices directly to my customers' option highlighted in the screenshot below is set to "Yes" we will email late fee invoices directly to your customers. Late fee emails also include a copy of the late fee invoice in the form of a PDF attachment. If you don't want us to email late fee invoices to your customers, simply change this option to "No." Once you have your accounting software connected and your settings are saved, your your account will automatically run shortly after midnight. Make sure to double check all of your settings before saving, and please feel free to contact us with any questions. You can either click the conversation bubble at the bottom right of this screen, or email support@latefeemanager.com. We are always here to help, and we love hearing from you!